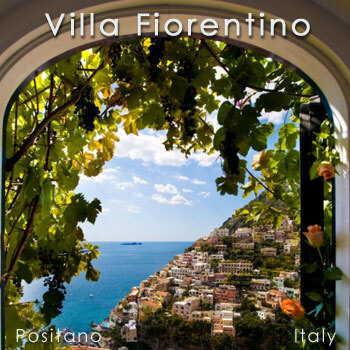 Those who want to marry in Positano in an unusual, chic ceremony will find Villa Fiorentino provides just the right atmosphere. The panoramic terrace with kitchen with at view, is particularly suitable for weddings, either intimate or up to 100 people. The couple can rest assured that throughout each phase of the reception, the help of wedding planner, Paola Fiorentino, can be counted on, from the setting for the service, the reception at the villa to the style requested for the ceremony. From elegant cocktail to buffet, to wines and ?finger food?, to the cutting of the cake next to the pool, to the classical aperitif-dinner-dessert, there are many options to choose from for your reception in Positano, and all can be realised at Villa Fiorentino. At the end of the reception, the wedding couple will find some intimate time to share together in the suite in Positano, Romantic Honeymoon, with its private pool and solarium and for their honeymoon, the option of staying at the appealing apartment, Sogno d?amore.